I'd like to sell a nice little razor package here. And a matador handle, the short fat one, with barberpole knurling. The bottom of the handle unscrews, and it's hollow, so you could add weight if you like. 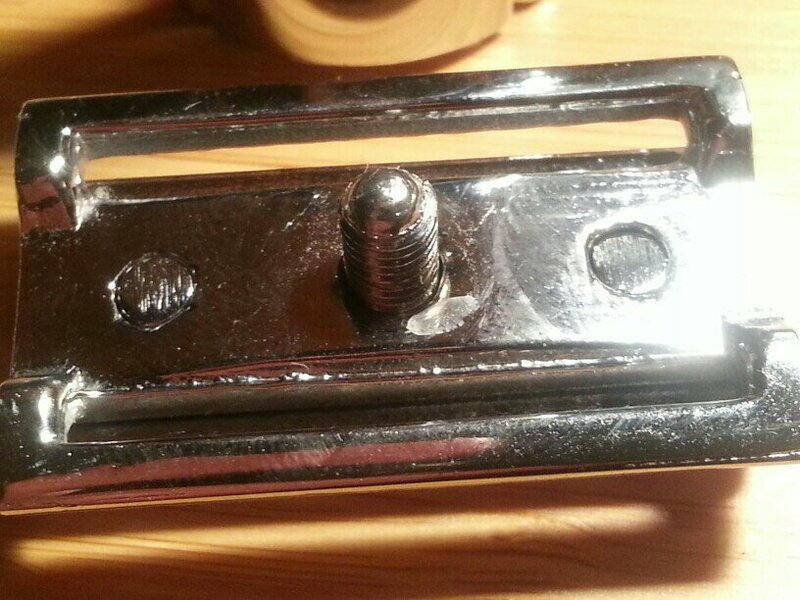 The handle has a couple spots of brassing near the bottom. Both heads thread up beautifully. Comes with a red Bakelite case that houses this razor perfectly. The case was originally for a German Bakelite slant. I'm also throwing in a new pack of polsilver super iridiums. This is a pretty sweet little set, I'm only selling because I usually always use SE razors. $40 OBO shipped to your conus address. The PIF is a damaskeene head which is missing the top cap. It can still hold a blade, but you have to be very careful when loading it in. I guess the previous owner wanted it to be more lather catcher-esque? You'll need the right handle for this head though. Thanks so much for looking and take care folks.